By Replacing Locker Doors only, You can save you up to 80% compared to all new lockers. Gyms, Schools, Police Departments and Hotels wear out lockers quicker than most, Replacement Lockers are expensive today, Gales provides a solution to high replacement costs. Doors usually break first, By replacing just the door and frame of the locker management can save up to 80% of the cost of new lockers while renovating the locker areas. Gales Locker techs also adjust interior shelves, side panels and sloping tops while installing the new doors. The benefits really add up, the lockers can be done in stages, some now some later, no need to take out entire lockers, Work can be done during off or slow hours, The same combination locks can be used and Gales will help you create ADA compliance. Gales provides the same locker manufacturers doors you are now using. If you want to double the amount of lockers in your space we can change out the locker doors from single tier to multiple tier to easily double or triple the amount of lockers in the same space. Replacement Sloping Tops, bases and filler panels can also be replaced for those damaged. By using the same manufacturer now installed in your building, The color match is identical or can be changed with the replacement doors. 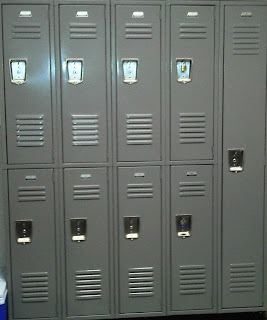 With thousands of Locker installations in the NY NJ metro area, We understand the need to avoid interupptions in locker areas. We will work your schedule to provide a seamless project. Contact Gales today for your free onsite locker review.